This block is fully machined and ready for prep work. Please read the complete ad before purchasing. We now use the Merlin IV blocks in most of our BBC engine builds. The Merlin block is light years ahead in overall construction as compared to any of the other blocks on the market. The main caps all have ARP hardware. Dimensional specs are spot on, and this has been an issue with other blocks we have used in the past. 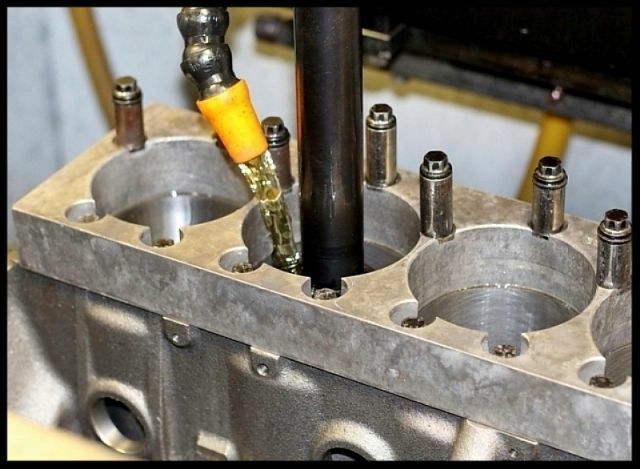 Many of the top engine builders, ourselves included, have found the new Merlin IV block to be superior to the earlier generation Merlin III block in many ways. 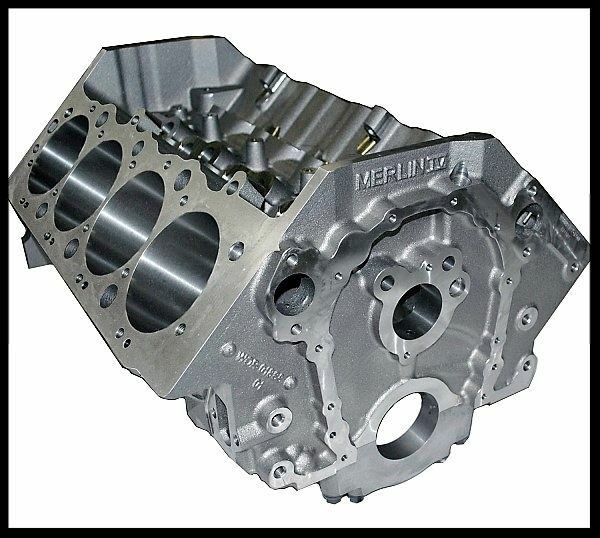 World Products has completely redesigned the famed Merlin Big Block Chevy casting, incorporating numerous improvements and new features to virtually every area of the block. 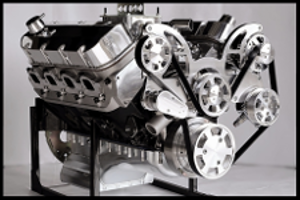 Designated the Merlin IV, this new block is offered in all popular sizes and deck heights and is sure to be a favorite among racers and professional engine builders. 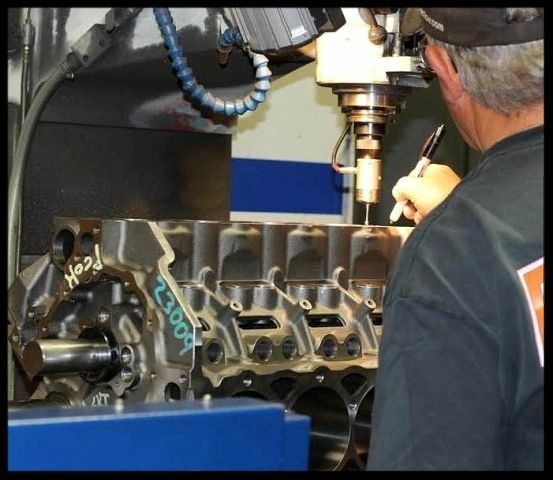 World Products blocks and heads are 100% American made and are subject to stringent quality assurance procedures to ensure superior quality and performance. Warranty: World Products warrants its products to be free from defects in materials and workmanship. No other warranties apply. The World Products Merlin IV block is bored and decked to size with our new Centroid touch probe machine. 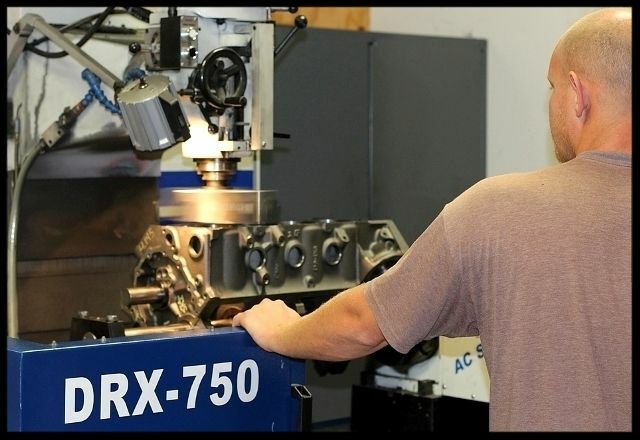 Few machine shops have a machine of this accuracy. We also deck the blocks to an RA finish of approx. 15 or better. The decking procedure is also done by our Centroid CNC machine. We will deck this block to the exact specs you need. When we're finished decking the block, it is within approx. .001 accuracy from end to end. 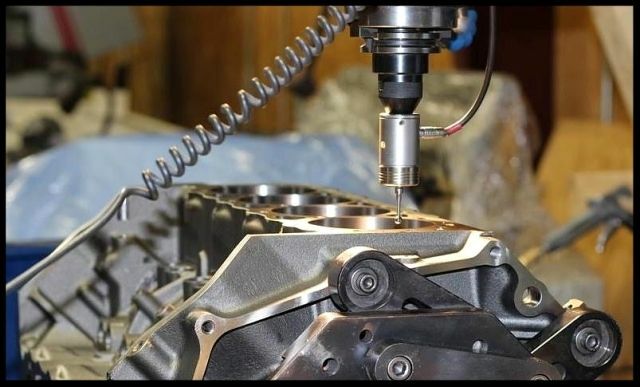 Many machine shops fail to catch this as the machinery they use does not allow for such accuracy. We then plate hone the block with our new Sunnen SV15 diamond hone machine. This is also a very advanced machine that hones the block with a finish unlike conventional machines.